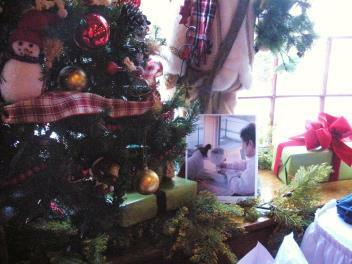 Member Gail was having surgery but was remembered in a photo of her and her Pap next to the Christmas tree. 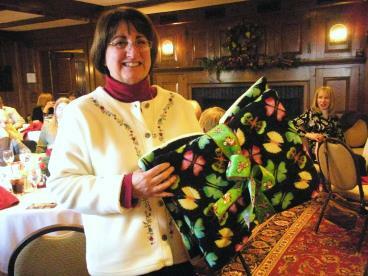 A Fundraising Auction was held to benefit a fellow Papillon Fancier who lost her home and belongings in a fire. 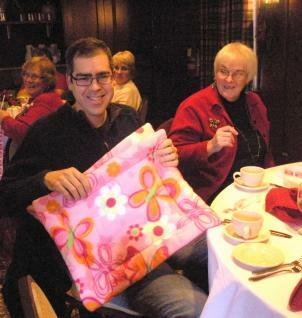 Members donated items and won some great gifts while supporting this cause. 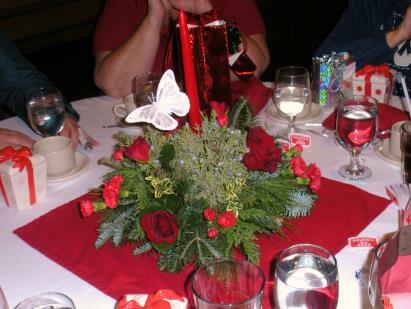 Our beautiful centerpieces! Kim made sure we kept in the "Butterfly" theme. 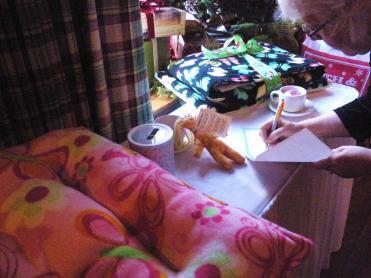 Each table had a lucky winner of the piece. 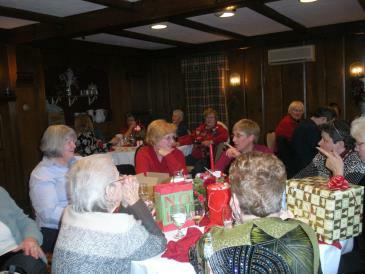 Members enjoyed a delicious dinner and the company of good friends. 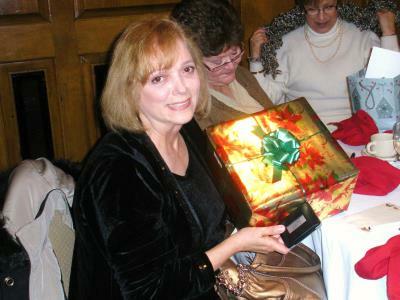 There were lots of presents to open with the gift exchange and the door prizes! 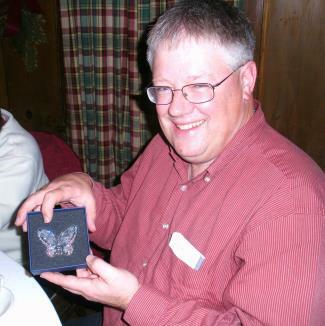 Our new member Jeff won the Swarovski crystal Butterfly Door Prize and was thrilled with his exchange gift, a beautiful Nancy Pinke sclupture! 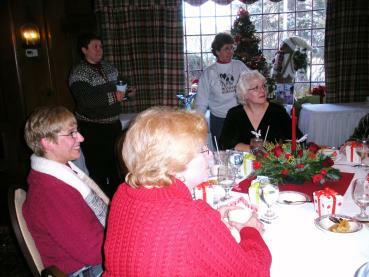 Sandy headed up the games that Gail prepared, and there were lots of laughs and merriment! We all had a great afternoon.